How are you maintaining a balance with the fast paced world? Do you sometimes feel tired of life? Do you want to strengthen your body so that it can withstand the daily pressures of life? Are you sick of the daily exercises which are boring and which actually you want to avoid every morning? If your answer is a 'yes', then read on. And if it is a 'no', then I must say, there is something special for you too. One of the biggest drawbacks of your regular exercises is that it can provide fitness to your body only; what about your mind and soul? One simple answer - Try the age-old practice of Yoga. Yes, whatever you call it, yoga, dance yoga, kickboxing yoga, yoga workout or anything else, the point is that it can certainly give you a solution. What you need is to join a yoga class. You can go for a yoga centre or a yoga studio, whatever it is and start practicing. One advantage of joining such classes is that you can have the proper training from the yoga teachers. Once you have learnt Ashtanga Yoga you can easily practice it at your home. You just need to buy some equipment like a yoga DVD, a yoga bag and a mat to perform the exercise. No matter where you practice, at home or at a class, doing the yoga correctly is very important for a positive outcome. Whereas a right posture can cure many diseases, a wrong one can create troubles too. Here are some types of yoga which are very popular nowadays. • Pilates Yoga - Developed by George Pilates, this type of exercise is very popular in the United States. Though it is referred as yoga, actually it is not. The only resemblance is that it also gives an exercise to the mind. It can be referred to as a yoga with movement or yoga with machines. • Bikram Yoga - Bikram yoga is a more aerobic and a physical type of yoga. It was founded by Bikram Choudhry. This type of yoga is not meant for everyone. It is carried out in a warm room with a temperature around 90 to 100 degrees and therefore it is also called as hot yoga. • Power Yoga - This is actually a modified version of Ashtanga yoga, which will be described later on. It is a practice of doing 'yoga poses' in a continuous series of exercises. This type of yoga helps you to enhance your inner power and to make a connection with your soul. • Ashtanga Yoga - In Sanskrit, Ashtanga means 'eight limbs' and it refers to the eight limbs of the Yoga Sutras. It was taken from Yoga Korunta, a very ancient text. 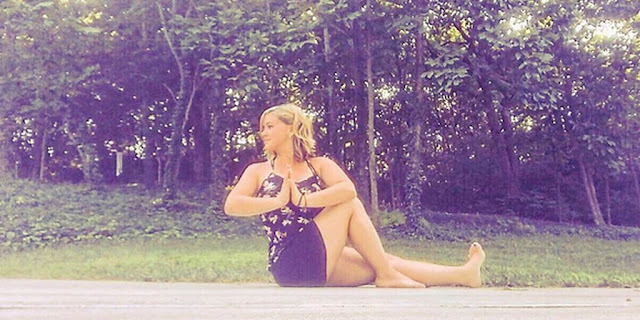 A student has to progress through six different series in this type of yoga. This method helps in realignment of spine, detoxification of body, building strength and flexibility and also in strengthening of the nervous system. There are three different levels of Ashtanga yoga. The first level helps you to align the body and gets the toxins out of your body. The second level helps to clean and open the energy channels. The last level is for the advanced ones and it helps in measuring power and grace. Ashtanga yoga is a very popular type of yoga. It is a very energetic and athletic form of practice. It has many benefits like relieving from sore muscle and joint pain. Along with these physical benefits, it does have some mental and emotional benefits also. If you practice this yoga, you gain the ability to focus mentally and release the negative energy. It will give you relief from unwanted tensions as well. If you are searching for a perfect yoga fitness program, Ashtanga yoga can be a good choice for you. If you are a beginner in the field of yoga then this can be quite tough for you to start with. You can start with some other simple methods. After bringing yourself up to its level and gaining the required fitness level, you can surely give it a try and reap the benefits! Yoga has thousands of different asanas (poses) that are designed to stretch and strengthen different parts of the body. By regularly performing yoga poses for weight loss, you can be sure that you're slimming down the healthy way! Although a little complicated for a first time yogi, the Bow Pose can be perfected through practice. It effectively burns fat while toning your abdominal area as well as your arms and legs. Start by lying down on your stomach. Slowly bend your knees then reach back to grab your feet. Try to raise your upper body while extending your feet upward. Keep your shoulder blades relaxed. Hold this pose for 8-10 breaths then relax. This basic pose is one of the easiest yoga poses for weight loss. It is designed to tone the abdominal muscles and firm the buttocks. Start by lying face down with the tops of your feet flat on the floor. Place your hands under your shoulders while pressing your hips and legs down. Slowly lift your upper body and head away from the mat. Keep your shoulders back and your gaze upwards. Stay in this position for 4-5 deep breaths before releasing to exhale. The Warrior I is an important pose to learn when you're doing yoga for weight loss. It helps tone the abdominal, arm and thigh muscles. According to experts, the pose has more effects on weight loss when performed as part of a sequence. Start by standing straight with your feet about 4-5 steps apart. Slowly rotate both your feet and torso towards the left. Keeping your right leg straight, slowly bend your left knee over your toes. Then raise your arms above your head in prayer position before raising your head to gaze at your hands. Hold for several breaths before going back to the starting position. This easy yoga for weight loss pose focuses on toning and strengthening your abdominal area. Lying down on the floor, slowly bring your knees to your chest while keeping your ankles together. Raise your head away from the mat while clasping your arms over your knees. Take 4-5 deep breaths before relaxing. Again one of the easiest yoga poses for weight loss, the Side Stretch is effective in burning calories and raising your heart rate. Start this position with your feet wide apart. Turn both your torso and feet to the right. Hinge your upper body over your right leg until it's parallel to the floor then reach your hands to the ground. With every exhale, move your torso closer to your right thigh. Hold for several breaths, relax, then repeat in the opposite direction. Turning to yoga for weight loss will not only help you slim down, but will also improve your balance and flexibility. Michelle Nicole is an avid fan of the healthy lifestyle. Yoga is her passion and she shared her love for the discipline through her book Yoga for Beginners. If you'd like to learn more yoga beginner's tips and other helpful info from Michelle Nicole, her book is also available in kindle edition. Do You Want to Know the Benefits of Yoga? Seven Benefits, Plus One Surprise! To understand what are the benefits of yoga, we first need to look at what yoga is. Yoga is a Sanskrit word meaning union, and yoga is the union of body, mind and spirit. Yoga is not just yoga exercises, that part is actually just a very small part. The benefit of yoga is that it leads to profound changes in your whole life. That might sound a bit scary to start with, but it really isn't bad! The changes that yoga will make in your life are all great benefits, leading to a more relaxed way of life, better health, better sleep and being better able to deal with problems. It is hard to convey just how much yoga can benefit you and lead you to a more satisfying life - and hard to believe until you experience these changes for yourself. All you need is an open mind and a willingness to follow your teachers instructions. The first and most important of those instructions is to take time for yourself on your yoga mat, leave your worries and busy life behind and be fully present in your yoga class. The changes and benefits brought about by yoga are not hocus-pocus, magic, or some kind of religious sect. The changes happen through allowing your body, mind and breath to work together in harmony. Most people have forgotten how to breathe fully, allowing the breath to reach into the spaces between your joints and soothe aches and pains. Most people have no idea how to relax each area of their body and allow the universe to support them. The yoga exercises (or asanas, the Sanskrit word for postures) you will do in a yoga class will help your body to become and remain flexible. I am sure you have seen pictures of yogis twisting their bodies into interesting and exotic postures - this may be the end result for some, but for most people the starting point is to release their tense and inflexible joints that have resulted from spending too much time sitting at a desk or behind the wheel of a car. Achieving this flexibility will reduce your risk of injury, lead to a more graceful way of moving and better posture. While your joints are benefiting from gentle stretching, you will also be lubricating the joints, ligaments and tendons. That lubrication will then assist you to become more flexible. How's that for synergy? Muscles that have become weak and flabby become toned through practising yoga, leading to increased strength. This also helps to lose excess flab from your body. 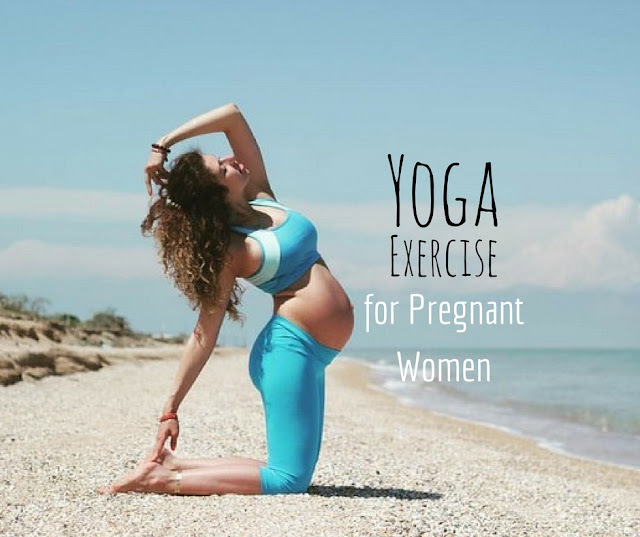 While you will be encouraged to practise yoga at your own level, as you increase in flexibility you will perform more weight bearing exercise. This is important in keeping your bones strong to protect against osteoporosis. While performing the asanas you will be massaging your internal organs, helping to clean out accumulated toxins and also giving them a soothing workout. This helps to keep disease away. Drink water after your yoga session to flush the toxins away. The final pose in every yoga class is known as Savasana, or corpse pose. This doesn't mean that you have overdone your yoga class! It is a relaxation pose that is used to allow you to accept all the changes that your body has undergone during the class. It is also incredibly relaxing. It is a form of meditation. When you do this in your yoga class you will get the benefit of relaxation and also you will learn a skill that can be called upon at moments of stress, or at times when you cannot sleep. Gently stretching muscles and massaging your organs brings a supply of fresh blood to your organs, this flushes out toxins and brings a supply of fresh blood to nourish every part of your body, helping to keep you looking and feeling younger. As you learn to breath deeply in your yoga class, your lung capacity will increase. Most people do not realise that they have forgotten how to breathe completely and fully, and find great benefit in the simple practise of breathing fully. Complete breathing is also wonderfully relaxing. 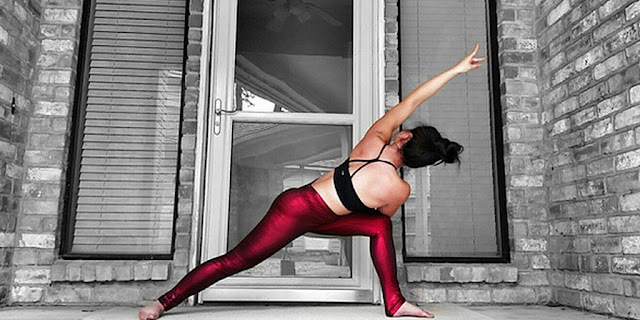 Yoga teachers are professionally trained and much of their training involves participating in yoga classes, learning from yoga masters and studying yogic philosophy. This leads to a pool of great teachers who are understanding, patient, professional and just wonderful people! Your yoga teacher will lead you gently through the steps to learn yoga postures, yogic breathing and relaxation. Each teacher is different and has a slightly different style, so if the first class you go to does not suit you, just try a different class. I have been to a few classes that didn't suit me, but I have never felt judged or out of place in a yoga class. All the yoga teachers I have met are very understanding and approachable. When you go to your first yoga classes make sure you tell the teacher about any concerns, health issues or injuries you have. She will make sure the poses are adjusted to suit you. It is always advisable to arrive a few minutes early to get yourself set up, pick a spot where you feel comfortable and spend a little time relaxing and winding down from your day before starting your class. You may find some things in a yoga class a bit confronting to start with. Some teachers lead the class in an "Om" chant at the beginning or end of the class. If you aren't comfortable to do this, just sit quietly and listen. At the end of a class the teacher will usually say "Namaste". This has various translations, all similar, my favourite is "the divine light in me reaches out to the divine light in you". Plus One - My Personal Surprise Yoga Benefit - Courage to Experience Something Different! After attending yoga classes for about six years, I found that I was going to be spending New Year's eve and day alone. I had been to a yoga retreat at an Ashram in Mangrove Mountain and I saw that they had an evening of chanting planned to bring in the New Year. I went along, alone, and spent the evening chanting "Hare Krishna". It was a wonderful and magical way to bring in the New Year. If someone had told me six years previously that I would be doing something like that, I would have thought they were mad! If you are suffering from stress, painful joints, or are just spending too long sitting behind a desk or behind the well of a car, you need to do something about it before it is too late. There are ways to deal with these issues without resorting to drugs. For yoga classes to deal with these issues, click here. If you are not practicing yoga because you think it is meant for a selected few, then you should be reading this. A lot of persons miss out on benefiting from yoga, just because they think these benefits are only accessible to a few persons. Yoga is not only for people who are younger in age or those lucky enough to have loads of free time. It is not also for individuals with natural slender and flexible bodies. It is meant for everyone. It has no age restriction neither does it accommodate a specific body size. Children can also practice it, under the instruction of a yoga teacher. Yoga offers a lot of benefits. It offers de-stressing, as well as healing benefits, to everyone who cares to practice it. If you can breathe, that means you can do some form of yoga. You will be amazed as to how easy it is and how much it can minimize both mental and physical tension. Many people carry out their daily activities, taking several shots of quick breaths every minute. This particular type of breathing, makes you vulnerable to stress factors in your life. It may also cause some chronic muscle pain, headaches, depression, insomnia as well as irritability. It is very necessary to learn how to breathe well. This will dispel these symptoms. You can do this conveniently, no matter the position you find yourself. Let's say you are trapped in a seated position for some time. Whether it is an airplane seat, or an office chair or wherever, you can still do some gentle stretching so that the time you spent sitting down on that spot, does not leave you with muscle tension. Just try as much as you can to extend either of your legs straight out in front of you, heel on the floor. Gently point your toes back, towards your knee, so that the back of your leg stretches. There is more to this. But ensure that you stretch properly to avoid causing any injury. You can add breathing to this also. It doesn't matter if the demand of job and family is so much that you do not have time to sit in meditation for an hour. You should endeavor to create time for this. The only way you can get some benefits from this practice, is by shifting your perspective. For instance, the sound from neighbors playing loud music, traffic noise from the street and others, can really act as a disturbance. You do not need to get angry about this but treat it with wisdom. A lot of us do not get angry when we hear sounds or noise that are natural. This natural noises can come from birds, thunderstorm, raindrops and others. Practice reacting to traffic noises, as if it was from natural causes. Remember to be consistent with your practice. Also get instructions from an experienced yoga teacher, to get the best out of yoga. Yoga has long been one of the most traditional and effective fitness regimes known to us. The new generation might have the inclination towards pumping heavy iron in gyms as it's more published. But the true fitness buffs will tell you that to achieve your fitness levels without any kind of side effects; yoga is the best option out there. • Find a time that's convenient for you: Some people think that exercises are only effective in the morning. Yes, it's partially true; exercising just after getting up from sleep is great but if you can't do it, then find another time that is more convenient to you. • Find a place that's comfortable: Yoga exercises just can't be done anyplace you like. Total concentration is a must in traditional exercises. You don't necessarily need a huge space. If you have a room big enough to roll out your mat, that will be enough. Also, make sure that the place that you are selecting is quiet and no one comes there unannounced. • Don't eat much: You can never achieve your desired yoga postures with a loaded stomach. Whenever you are doing exercise, try to do it on an empty stomach. • Wear comfort clothing: Make sure that whatever you are wearing during exercising is comfortable. Avoid tight or body hugging dresses and go for loose clothing so that you don't have any problems breathing in it. • Warm up: This is one of the most vital aspects. Prior to doing some intense physical workout, always warm up yourself or else you can strain your muscles. • Don't overdo: You know your body so go easy on it. Every person has their limit. You should never overdo to the point where your body can't take it anymore. • Maintain the routine: You can never achieve anything if you do not regularly exercise. Maintain a routine so that you can practice yoga every day without any negligence. • Don't stick to one technique: In yoga, it is important to practice new things every now and then. Don't just practice the same thing again and again. • Make it fun: Don't think yoga as a boring exercise. Make it more interactive by asking your friends and family. Don't expect fireworks at your first yoga session. Give it time and dedicate yourself to it. You will see that it is reaping rewards in the long run. This article is written by Dylan Flint, who regularly attends yoga classes and is up for any help if you are looking to find the best yoga studio around.